Pulling or twisting the infant improperly during the delivery period. Improper administration of medications like Pitocin to the mother during pregnancy or during labor. Brachial Palsy Injuries - An injury to the bundles of nerves responsible for moving the arms and hands. This can occur if a physician pulls too hard or incorrectly while attempting to deliver the baby. The resulting disability is called Erb's Palsy. Facial Paralysis - An injury to the nerves on an infant's face. Damaged nerves on the face could lead to an inability to close eye and/or inability to move the affected side of the face. This can occur when physicians use forceps or vacuum extraction to pull the baby out. Brain Injuries - When the brain does not receive oxygen, the infant can suffer different brain injuries. This can occur when a physician fails to correctly monitor an infant immediately after birth such as umbilical cord issues, and/or allowing the baby to remain too long in the birth canal. Orthopedic Fractures - Fracture of the clavicle or collarbone is the most common fracture during labor and delivery. This can occur when the physician pulls on the infant too hard or when the shoulder is forcefully pulled during a prolonged delivery. Caput Succedaneum - A injury that leads to significant swelling of the soft tissues of the baby's scalp that develops as the baby travels through the birth canal. This can occur when a physician improperly uses a vacuum extraction tool. Cephalohematoma - An injury that leads to bleeding underneath the cranium, which often appears several hours after birth when a raised bump appears on the tops of the infant's head. This can occur when physicians improperly use birth assisting tools. The longstanding rule in Minnesota is that a medical malpractice claim accrues upon the termination of the medical treatment by the health care provider. Like in most states, application of the statute of limitations to birth injury claims varies depending on whether the tort claims are being brought directly by the parents or on behalf of the injured child. Parents can sue directly to get compensation for medical expenses they incur before the injured child turns 18. The injured child has claims for pain and suffering, lost future wages, and future medical expenses they will incur after they turn 18. The Minnesota statute of limitations applies differently to these 2 types of claims. SOL for Parent Claims: Under Minnesota law medical malpractice claims (including birth injury claims) against "health care providers" must be brought within 4 years of the date that the "cause of action accrues." In medical malpractice cases, the manifestation of injury can come years after the alleged negligent treatment. So in most states, the SOL doesn't start to run until the malpractice injury is "discovered." Minnesota has rejected the "discovery rule" approach, meaning claims must generally be filed within the 4 years after the alleged negligent treatment. This is a harsh rule. It means that there are malpractice cases that are extinguished before the victim even knows they have a case. It is just not a fair law. There are, however, several circumstances that will toll Minnesota's 4 year SOL including (1) fraudulent concealment by a physician or (2) the termination-of-treatment rule. The termination of treatment rule (Minnesota's alternative to the discovery doctrine) states that a cause of action generally does not "accrue" for statute of limitation purposes until the course of treatment for particular condition ceases. SOL for Child Claims: Under Minnesota law, the 4-year statutory limitation period is suspended when the person injured is a minor. A minor injured by medical malpractice suspends statute of limitation for seven years from the alleged negligent treatment, or one year following his or her 18th birthday-whichever is sooner. At which point, the four-year statute of limitation resumes. To establish a medical malpractice birth injury claim under Minnesota law expert witness testimony is generally required to establish the standard of care and how the doctors involved in the case departed from the standard. In Minnesota, all lawsuits alleging medical malpractice must be supported by a "Certification of Expert Review" which gets filed with the initial complaint. Minn. Stat. 145.682. However, when the acts or omissions complained of are within the general knowledge and experience of laypersons, expert testimony is not necessary to establish the standard of care. 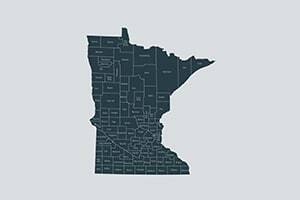 Unlike some states, Minnesota prohibits wrongful life and wrongful birth claim. Minn. Stat. 145.424. Parents and children cannot claim that medical malpractice or failure to impart material information to the parents precluded the parents' right to an informed decision on whether to give birth to the child. Similarly, a child cannot assert that he or she would have been better off not being born. However, in 2004, the Court of Appeals of Minnesota held that physicians owed a legal duty to inform parents of potential birth defects. (Molloy v. Meier). Economic Damages: refers to compensation for objectively verifiable monetary losses, including past and future medical expenses, lost income, or lost earnings of a child who may not be able to engage in substantial employment due to their injuries. Non-economic Damages: refers to compensation for intangible and emotional losses such as pain and suffering, loss of enjoyment or quality of life, loss of companionship due to injury, and mental exhaustion. In most birth injury cases in Minnesota and elsewhere, the biggest component of damages is the future cost of caring for the child. What Is Required Before Filing a Birth Injury Claim in Minnesota? Minn. Stat. § 145.682 requires that within 180 days of commencement of a suit, the plaintiff must produce expert affidavits stating, with respect to issues of malpractice or causation, the substance of the facts and opinions to which the expert expects to testify and a summary of the grounds for each opinion. The purpose of these expert affidavits (called subdivision 4 affidavits) is to provide a means of readily identifying meritless lawsuits at an early stage in a medical malpractice lawsuit. These affidavits are expected to "set forth, by affidavit or answers to interrogatories, specific details concerning their experts' expected testimony, including the applicable standard of care, the acts or omissions that plaintiffs alleged violated the standard of care and an outline of the chain of causation the allegedly resulted in damage to them." You have 180 days after the filing the lawsuit to provide these affidavits. But it is foolish to not simply file them with your birth injury claim. You have to have your case fully ready to go long before filing suit. The idea behind negligent credentialing is that the doctor should not have been given privileges at the hospital where the malpractice took place. A hospital is required to have a sound credentialing process and it must follow that process. Minnesota law allows for claims of negligent credentialing or privileging of healthcare provider. But there are significant constraints on claims on plaintiffs' lawyer's ability to use information obtained in the peer review process. The plain language of the peer review confidentiality provisions of Minn. Stat. § 145.64, which expressly prohibits disclosure, discovery, or introduction of evidence necessary for defense against a claim of negligent credentialing, demonstrates the legislature's intent to bar such claims. Contact Miller & Zois today for a free consultation about potential birth injury malpractice cases. Call us at 800-553-8082 or get a free online consultation.